"Our Saviour's Lutheran Church, Minneapolis, Minnesota"
Large church group outside Our Saviour's Lutheran Church. 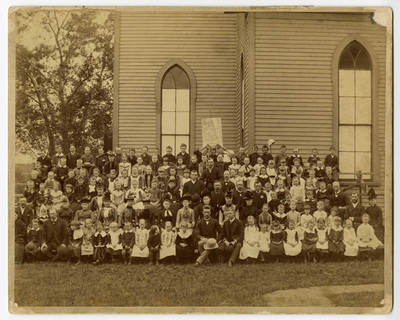 Back of photo labeled, "Sunday School c. 1888."